Community Car Wash is owned by Ken and Kris Brewer, who live locally and believe that a small business should support the community that supports them. We now have two locations for our carwash in Sherril and Oneida, New York. Community Car Wash has the most technologically advanced automatic car wash equipment available in the industry. Our "touch-free" equipment will deliver a clean vehicle without damaging its paint surface. NOW WITH A DOG WASH! 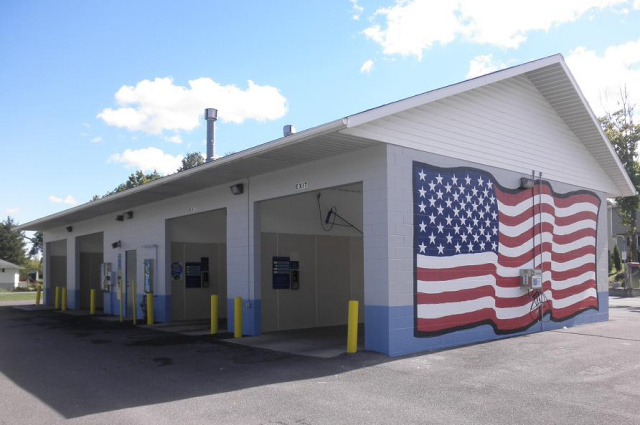 Community Car Wash also offers a self-service car wash facility that takes great pride in providing our customers a clean, safe and user-friendly atmosphere. Our large, bright wash bays are appointed with the most technologically advanced car wash equipment in the world. We are dedicated to customer satisfaction and strive to meet our loyal patrons' needs. We at Community Car Wash understand that there are many options when choosing how and where to wash your car. We offer several payment options for your convenience. Community - Collaboration with community organizations means a percentage of proceeds will be going to support local groups. Competitive - competitively priced, to deliver aq quality product for good value while giving back to the community. Quality - Provide a clean facility with state-of-the-art and user-friendly equipment that will not harm your vehicle. Customer - Listen and respond to our customers' needs in a timely, professional manner. Put your organization on the road to easy and successful fundraising. Get started with your Community Car Wash Fundraiser. Proud member of the Oneida Chamber of Commerce and The Sherrill Merchants Association.